General Hospital Dubrovnik gets another modern medical centre for endocrinology and diabetes, an investment of 1.2 million Kuna. The project was financed by Dubrovnik-Neretva County, the City of Dubrovnik, General Hospital Dubrovnik and Dubrovnik Diabetes Association. The president of the hospital, Mr Branko Bazdan, says the premises were refurbished in 5 to 6 months, giving patients and their doctors a modern centre. The fight for the centre lasted for 10 years, says the President of Dubrovnik Diabetes Association, Mr Ivo Bratičević, adding that the centre in Dubrovnik is considered one of the best equipped in Croatia. The same was verified by the mayor, Mr Andro Vlahušić, who works in the centre every Monday afternoon. – I wish to express my gratitude to the patients and their patience because for many years other patients had better conditions and there were objective reasons that prevented the same service to them. Diabetes Centre is one of the best in Croatia, both for its equipment and premises. It shows what we can do if we work together, and we do hope to work out in the similar way on the centre for palliative care and many other projects in the City, emphasised Vlahušić. 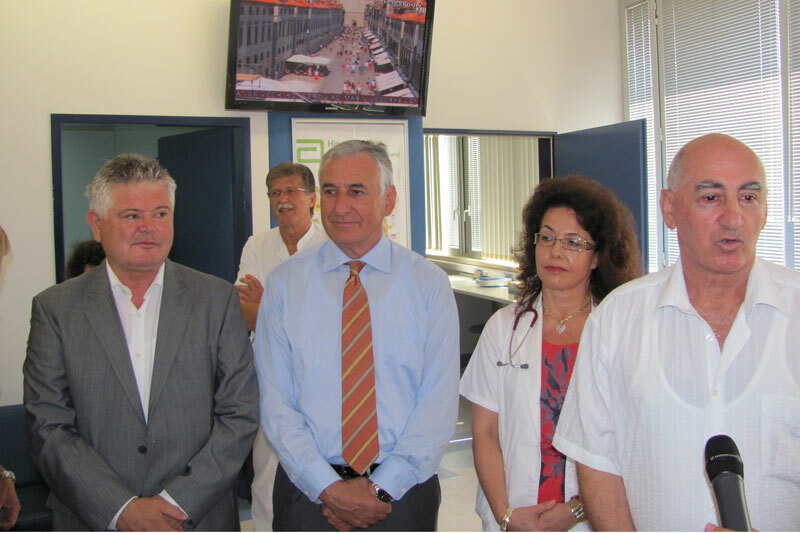 The head of county, Mr Nikola Dobroslavić, stressed that the patients deserve such modern and well equipped premises. – Joint efforts bring success. I want our patients to have high quality treatment here, says Dobroslavić. In words of Mrs Sanja Mlinarić Vrbica, MD, diabetes is the most represented disease of modern society today, it is on the verge of becoming a pandemic. – It is estimated that in 2025 there will be 300 million patients. It is a large number of patients with many complications and our aim is to discover the disease and start the treatment as soon as possible. The complications include cardiovascular disease and cerebrovascular insult, which make lifestyle worse and increase mortality, points out Mlinarić Vrbica, MD, adding that thyroid disease and osteoporosis are on the increase as well. – We are extremely satisfied with the new centre that enables us to provide adequate treatment and improve endocrinology, stresses Mlinarić Vrbica, MD.